Wooden altars were installed in the church in time for Christmas, 1894. 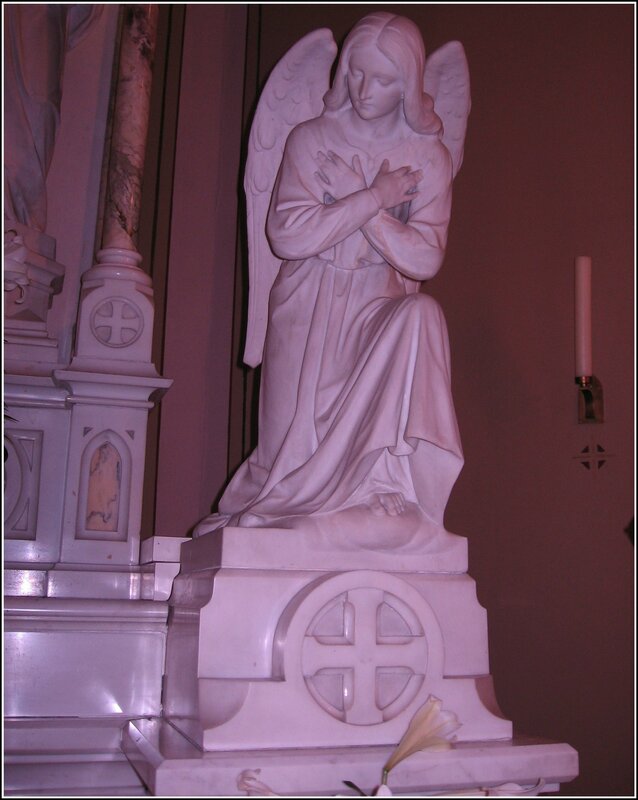 Several pieces of Italian marble now grace the sanctuary. 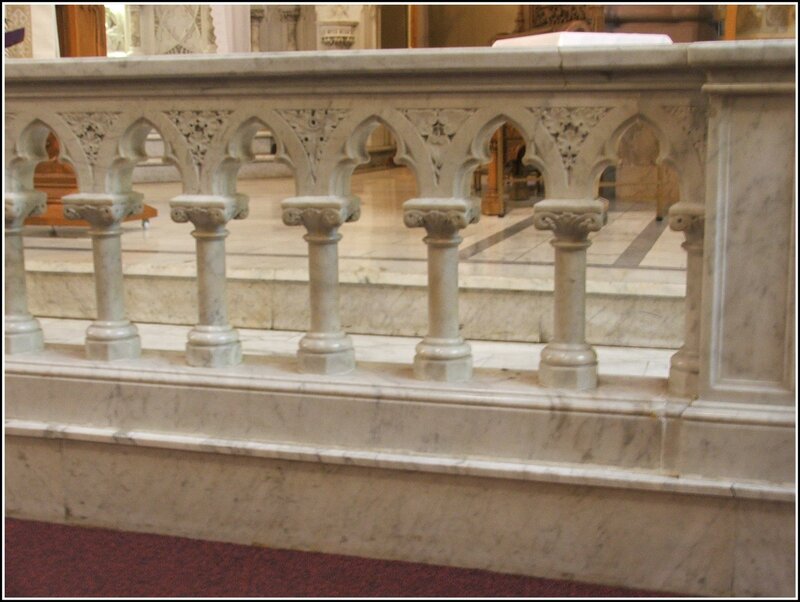 The communion rail was added in 1906. 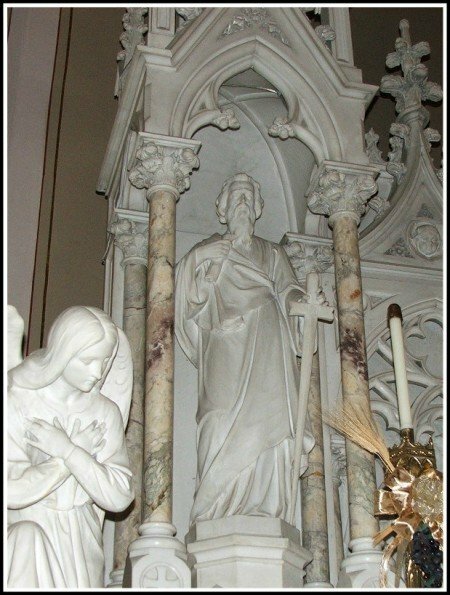 Miss Elizabeth DeWald, donated the marble altar and sanctuary in 1912. 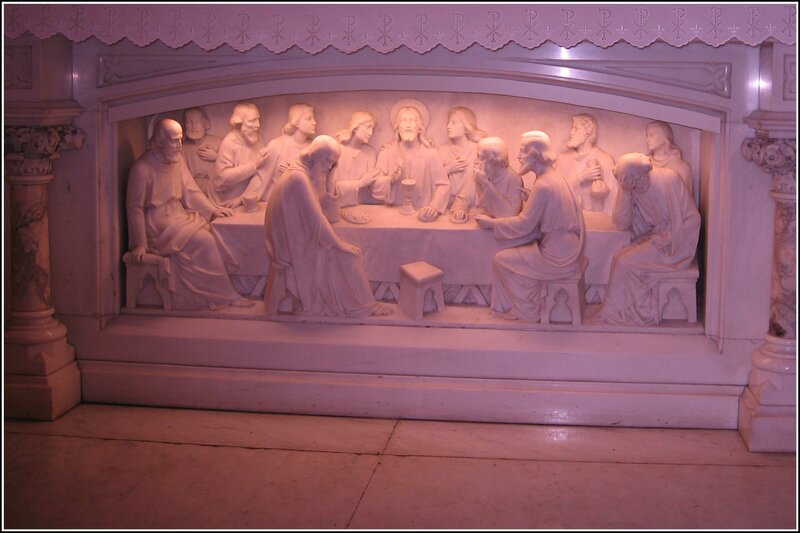 The magnificent Carrara marble altar was carved by the Daprato Company of Pietrasanta, Italy. 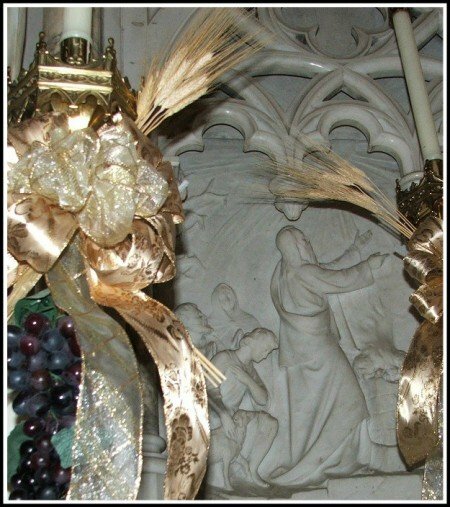 The altarpiece was designed by H. B. Schwartz and carved by five artisans who put together the piece in Italy, dismantled it and personally brought it by ship to the United States for reassembling. Bianco chiaro de prima marble is used in the construction of the main body of the altar and the columns are formed of Italian onyx. The inlay scenes are of breccio serevezzo, a rare marble. 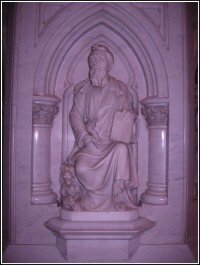 The two reliefs portray the sacrifices of Noah (left) and Melchizedek (right). The side statues of Ss. 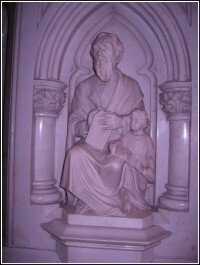 Peter and Paul are carved from solid marble and weigh approximately 800 pounds each. The altar table is unusually large. It is enhanced with an elegant Last Supper scene. Near the central pilaster are the emblems of the four evangelists. 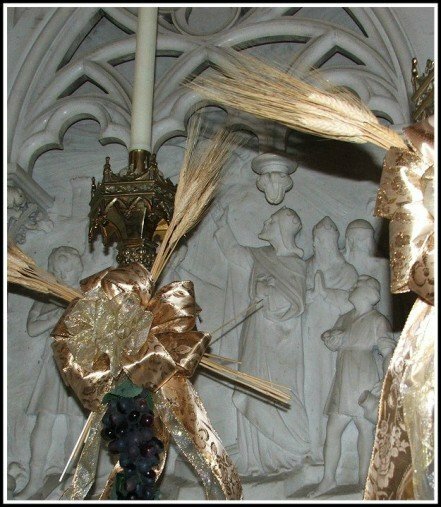 Angels of adoration are placed at the corners of the altar, with front pedestals on which to place the patens that were held under the chin of each person receiving Holy Communion. On the top of the reredos rests an elegant crucifixion scene placed into position in 1894 at Christmas-time. The proportions of these figures is five feet. The estimated total weight of the Savior on the Cross, the Sorrowful Mother, St. John and St. Mary Magdalene at the foot of the Cross, is three tons. 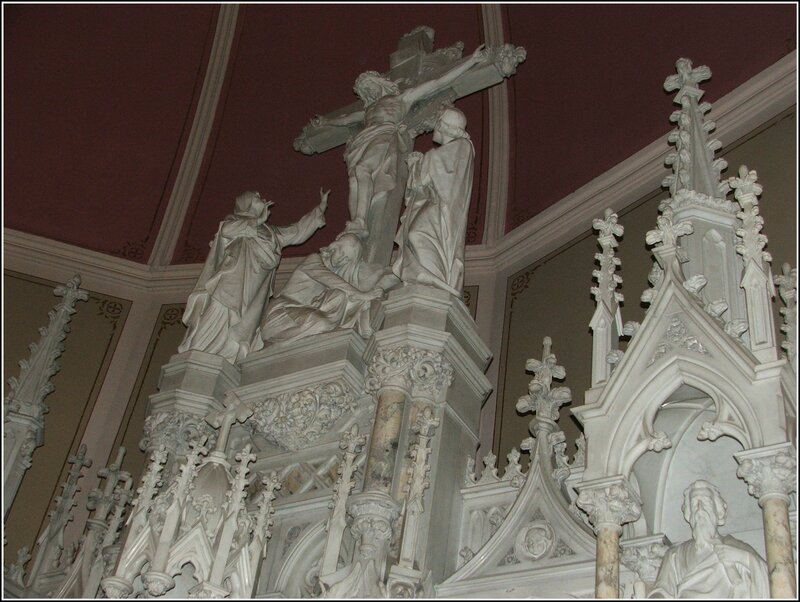 This grouping stands 22 feet, 6 inches above the predella, or platform of the altar. The six gold-plated candle sticks and altar crucifix are in keeping with the gothic architecture of the church. The heavy gold door of the tabernacle is plated in 22-karat gold. Keeping with an ancient custom, the tabernacle is lined in cedar. The tiny mosaic above the tabernacle gives an abbreviation for the name of Jesus in Greek, IHS. 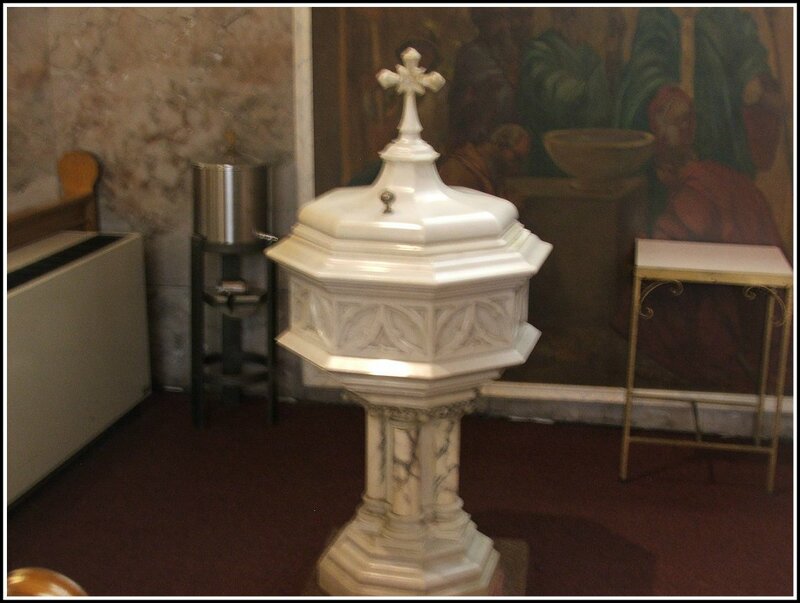 The ambo, (or pulpit) and baptismal font were donated shortly after the altar was placed in the church. 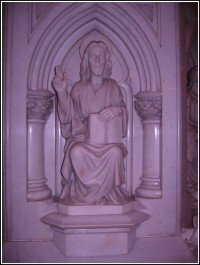 The central figure on the ambo is Christ, the Teacher. 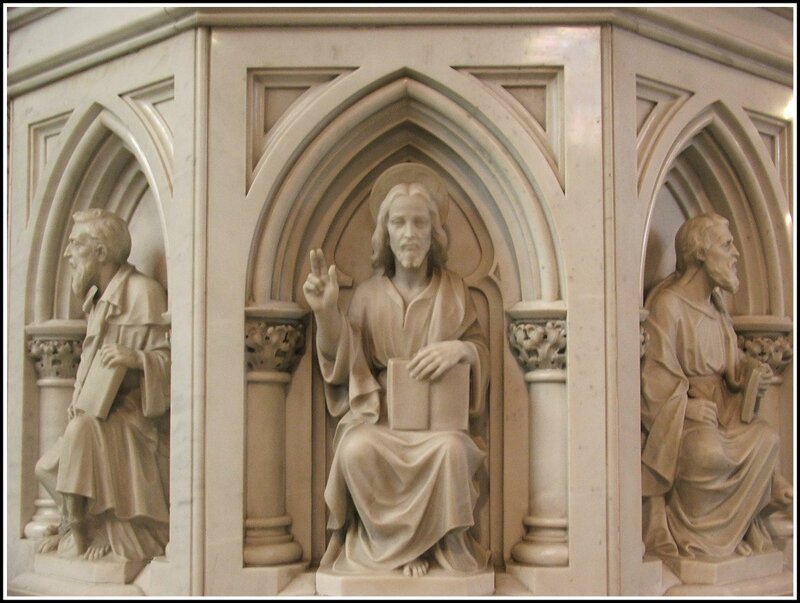 The four evangelists form the side reliefs. 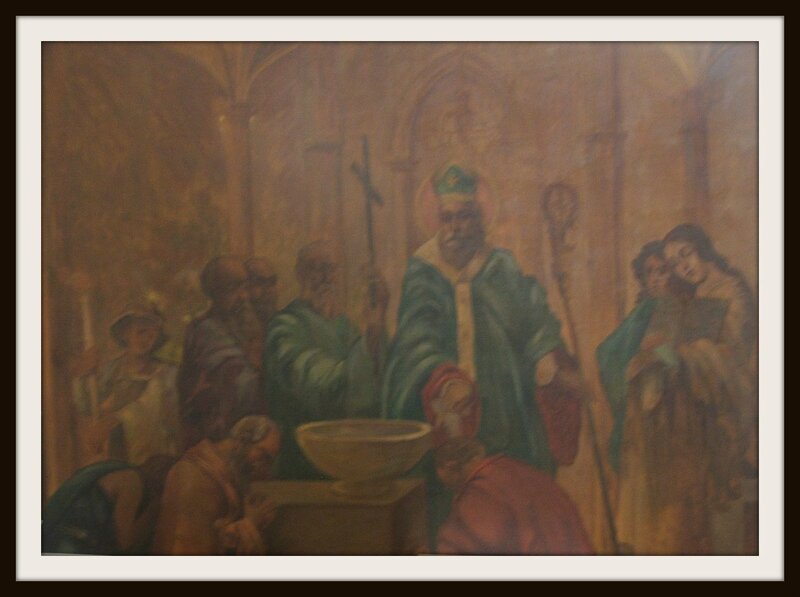 The painting of St. Patrick baptizing the king at Tara was installed in 1912. It was once in the original baptistry. 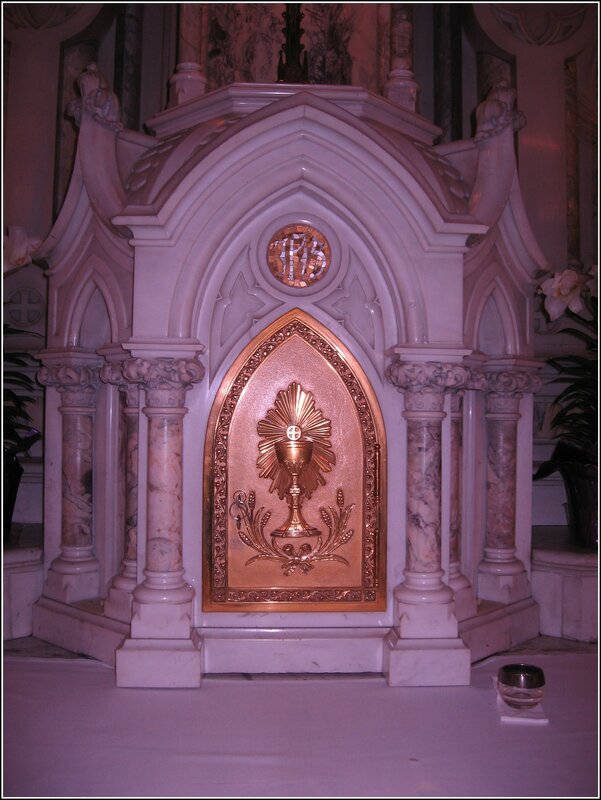 A large wooden confessional was located in the area where the baptismal font now stands. 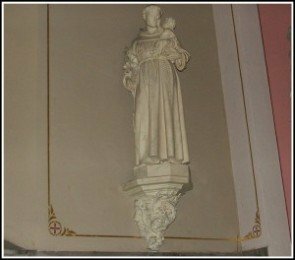 The statues of St. Patrick, St. Anthony of Padua and the Sacred Heart are made of plaster and were imported from France in 1893. 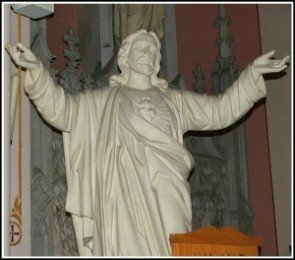 Two statues were added in the front vestibules of the church in 1992. 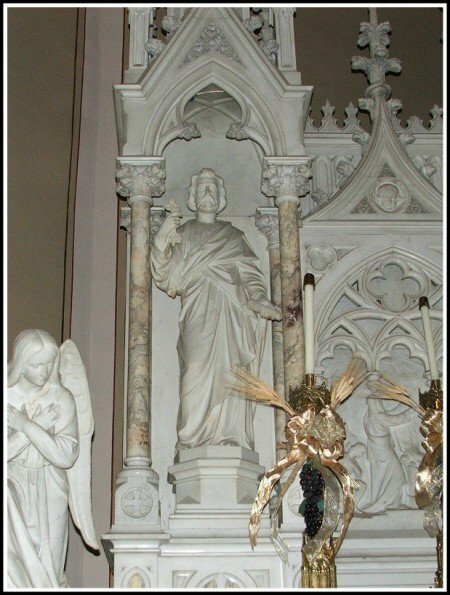 St. Rock, the patron saint of those with AIDS, is in the main vestibule. 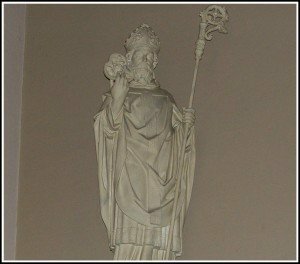 St. Bridgid, an Irish saint and friend of St. Patrick, is in the north vestibule.